Ariel Harman-Holmes is an associate at Capstone Law. Her practice is focused on wage-and-hour class and PAGA representative actions. She began her career in New Orleans as a public defender, and then founded her own firm handling appeals and plaintiff-side insurance matters. 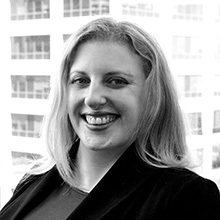 After relocating to California, until just prior to joining Capstone, Ariel worked for The Rudd Law Firm where her practice involved intellectual property, commercial disputes, and torts. Ariel is a graduate of New York University and Cornell Law School, where she obtained her Juris Doctor in 2007. Ariel is admitted to practice law in California.